I believe this product is a convenient mean for those who love eating healthy. 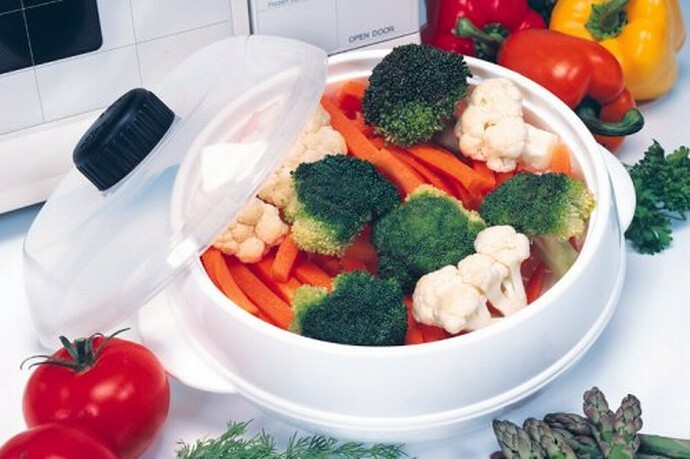 They can steam their vegetables in a minute in microwave, instead of spending 10 - 15 minutes and a lot of work to steam vegetable conventionally. Moreover, the microwave steamer can be served on table thank to its nice design and reasonable size. The lid of the microwave steamer has it own functions. It help keep food warm for a longer time, stop food spills in microwave. Users can use the lid for their own purpose too. For instance: Use the lid to cover left over food on a bowl, boil an egg in microwave. Yes, egg can be boil in microwave by using this lid to cover a bowl with egg in water, and it take only 2-3 minutes instead of 10 minuted to boil an egg with conventional mean. Convenient for office use: it is impossible to cook while somebody is at work, but they can use company microwave to warm up their food. 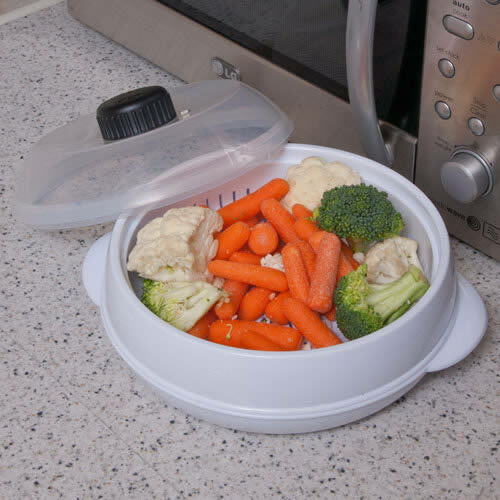 Just prepare some vegetable, a little water, put the microwave steamer in the microwave in 2-3 minutes. Steamed vegetable is ready to serve. Warm, healthy food, and can be prepare easily. Students in dorm. Many student wish to keep themselves in good shape by eating vegetables. However, they do not have many choices with school menu. Cooking in dorm is a hard work and can cause a lot of odor. With microwave steamer, the problem is solved. Students just need to cut vegetable that they need to steam in to pieces, put those in the microwave steamer, set 1 or 2 minutes depend on what they steam, and voila. Steamed vegetable is ready to serve. 1. Low cost: product can be produced in Asia, and imported to the U.S for the cost of $1.5 - $2 US. 2. Health: the product help people eating more healthy. - I can sell the patent -> you can own the patent. - I can have shares for my patent. - I can help to find a manufacturer in Asia. 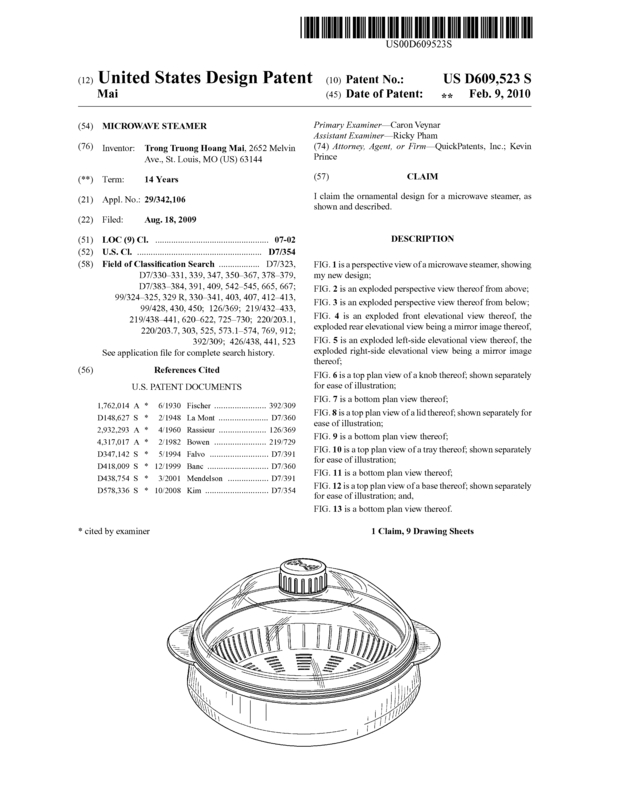 Page created at 2019-04-21 18:12:32, Patent Auction Time.